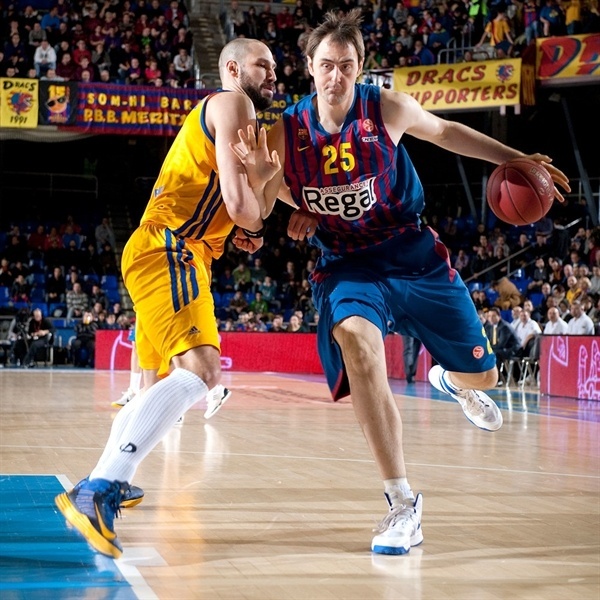 FC Barcelona Regal took another step towards the Euroleague Playoffs from Top 16 Group F by downing BC Khimki Moscow Region 71-69 at home on Thursday. Barcelona improved to 8-1, leads Group F and has all but mathematically sealed a ticket to the playoffs. Khimki dropped to 5-4 and keeps good chances to reach the playoffs for the first time in club history. 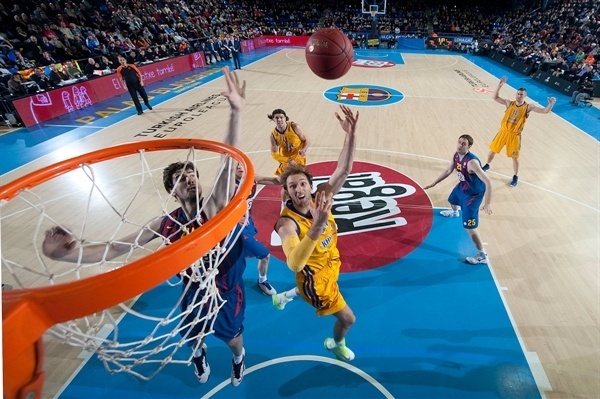 Barcelona set a new Euroleague record for most consecutive Top 16 home wins with 22. Its last Top 16 home loss came against Unicaja on March 30, 2006. 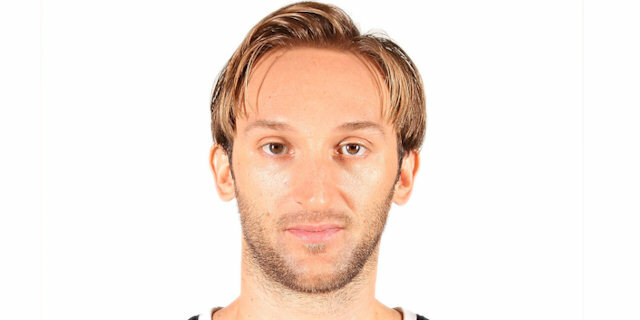 Scoring king Juan Carlos Navarro paced the winners with 19 points on 5-of-10 three-point shooting, Ante Tomic added 16 points and Erazem Lorbek tallied 11. Paul Davis paced Khimki with 18 points and 9 rebounds and Zoran Planinic and Vitaly Fridzon added 12 points apiece in defeat. Barcelona struck twice from downtown and got some help from Pete Mickeal and Lorbek in building a 21-16 lead after 10 minutes. Lorbek and Tomic took over late in the second quarter before a buzzer-beating basket by Marcelinho Huertas gave the hosts their first double-digit lead, 44-34, at halftime. 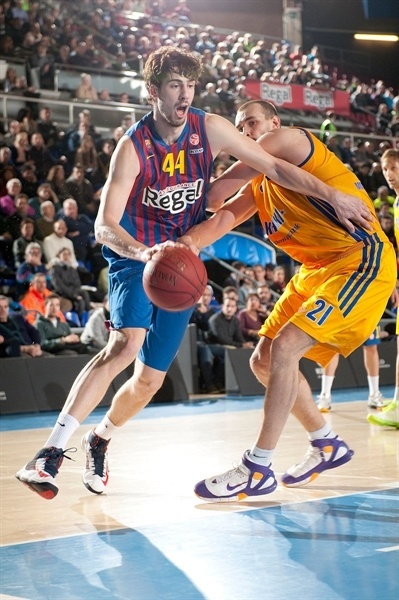 Tomic kept pushing Barcelona after the break, as the hosts improved their defense and boosted their margin to 60-48. Khimki managed to get within 66-63 but Navarro followed a three-pointer with free throws to seal the outcome down the stretch. 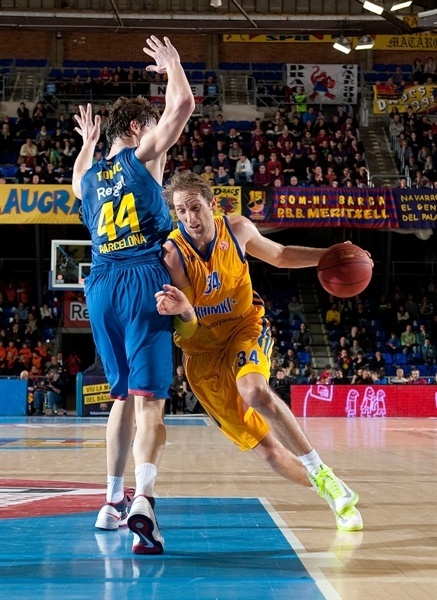 Khimki tried Egor Vyaltsev in its starting lineup to try to stop Navarro early. 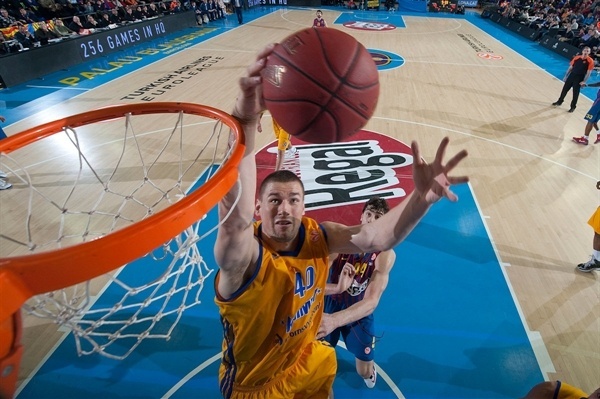 Alexey Zhukanenko got Khimki going with a close basket, which Tomic matched with a dunk. 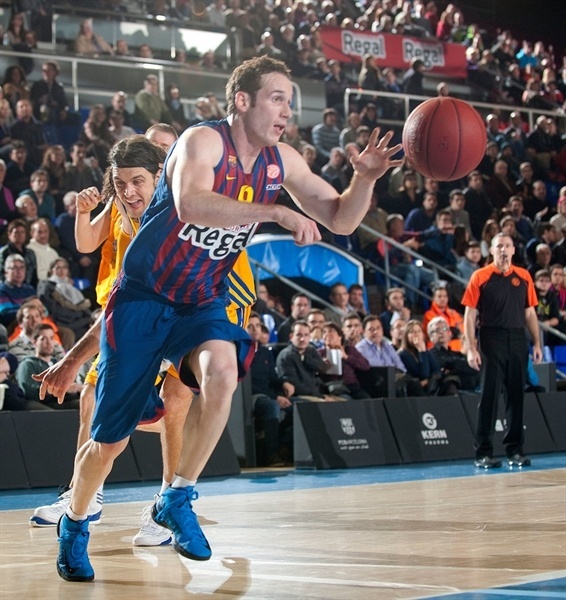 Planinic took Victor Sada to the low post for an easy basket, as Barcelona kept missing open shots. A coast-to-coast layup by Sada gave Barcelona its first lead, 5-4. James Augustine swished a five-meter jumper that Navarro bettered with a three-pointer. Sergey Monya downed a six-meter shot off a timeout and a running jumper by Fridzon restored an 8-10 Khimki lead. 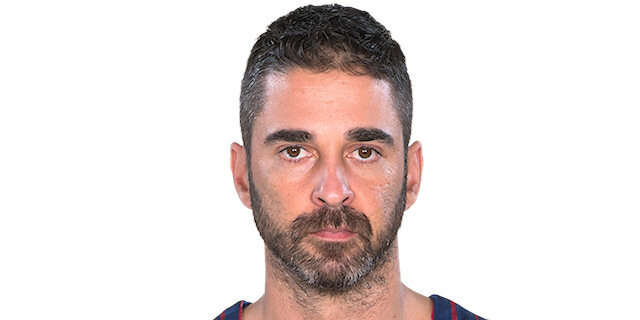 Navarro buried another one from beyond the arc and followed that with free throws for a 13-10 Barcelona lead. Augustine scored in penetration, Mickeal nailed a mid-range jumper and free throws by Planinic kept the guests within 15-14. Mickeal added a corner triple and Lorbek also struck from downtown to make it a 7-point game. A jumper by Loncar fixed the score at 21-16 after 10 minutes. 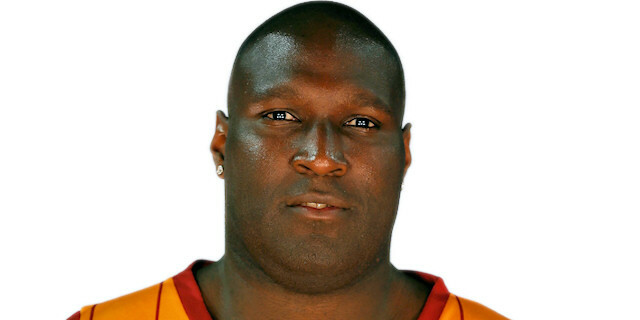 Fridzon took over with an alley-oop layup early in the second quarter, but Nate Jawai matched it with an uncontested dunk. 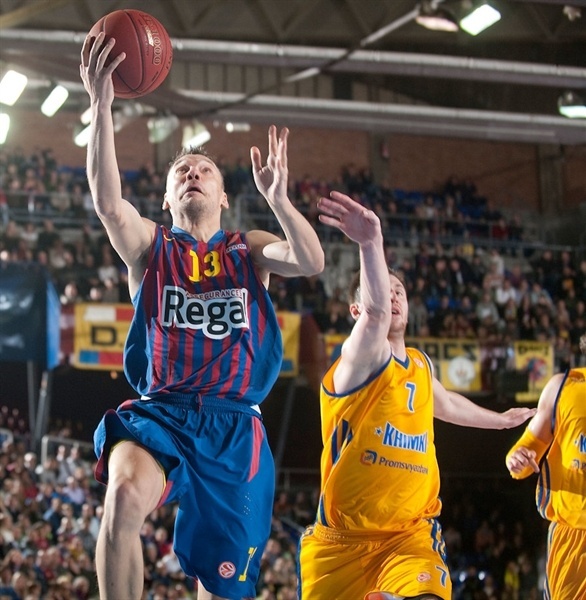 Fridzon split free throws and Sarunas Jasikevicius answered with a close jumper, good for a 25-19 Barcelona lead. Khimki tried to run its offense through Davis, but C.J. Wallace was over the place on defense, denying him the chance to get the ball down low. Jawai and Jasikevicius forced Coach Rimas Kurtinaitis to call timeout at 28-19. Fridzon struck from downtown, Joe Ingles made free throws and a turnaround jumper by Davis made it 30-24. Planinic shined with a wild driving layup, but Lorbek followed free throws with a close jumper for a 34-26 Barcelona lead. Davis dunked before Lorbek hit more foul shots. A jumper by Monya gave Khimki some hope at 36-30. Tomic stepped up with a put-back layup and erased Planinic's free throws with another basket. Loncar buried a turnaround jumper, but free throws by Lorbek and a close basket by Huertas made it a double-digit game, 44-34, at halftime. Khimki improved its aggressiveness after the break with Augustine and Davis together on court. Both teams struggled to score until Tomic hit a jump hook and the free throw that came with it. The guests were held scoreless for more than three minutes until Augustine made free throws to come within 48-36. Augustine kept pushing Khimki with a fast break layup and a running jumper by Planinic caused Barcelona to stop the game at 48-40. Navarro shined with a three-pointer and Tomic matched Davis's jumper with a two-handed slam. Planinic scored in the low post, but Navarro did it better with a wild catch-and-shoot triple. Free throws by Tomic boosted the hosts' lead to 58-44. Davis followed foul shots with a baseline jumper, but Tomic kept the hosts way ahead, 60-48, at the end of the third quarter. Davis buried a four-meter jumper early in the fourth quarter, as Barcelona tried to use longer possessions to run the game clock down. Huertas finished one of those with a driving basket, which Fridzon matched with free throws. Wallace took over with a backdoor layup, Loncar quickly answered with a put-back basket by Davis brought Khimki within single digits, 64-56, with seven minutes left. 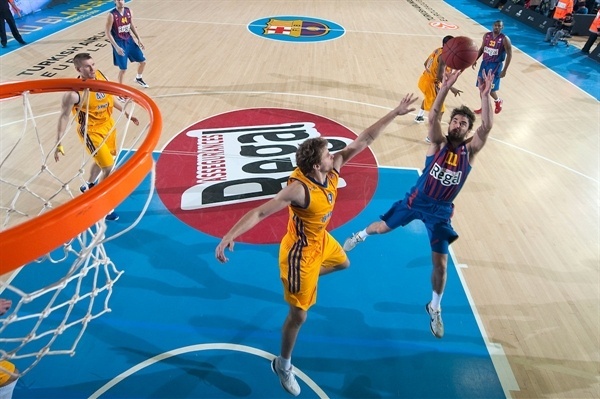 Fridzon scored again and a put-back dunk by Monya caused Barcelona to call timeout at 64-60 after an 0-8 run. 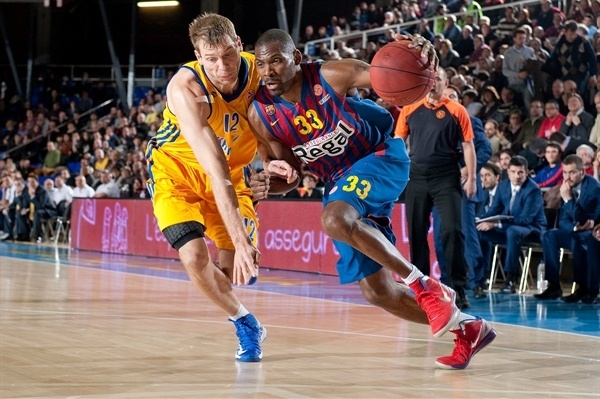 Mickeal rescued Barcelona with a driving basket, which Monya bettered with a three-pointer. Navarro swished his fifth triple, as Khimki struggled to score right when it mattered most, missing 6 consecutive shots until Davis stepped up with a put-back layup. Free throws by Navarro sealed the outcome, 71-65, with 1:14 to go, as even though Khimki kept trying, Barcelona had cruised to a record-breaking Top 16 home win. "I am very happy with the win we got tonight. I said it before the game and we all thought that it was a difficult game against an opponent that does things really well. They are always in the game. They play well in offense by finding easy options. Defensively, they are very structured and with a lot of aggressiveness, especially around the basket. We played a good game, especially in the opening three quarters. We controlled the defensive boards, allowing just two offensive rebounds in 30 minutes. We led by 12 early in the fourth quarter, but lost control and they went on a 0-8 run. We didn't control the defensive boards, allowing 7 offensive rebounds in the fourth quarter. We allowed a lot of second chances, but reached the final minutes with a lead and that allowed us to win the game. It is a very important win to qualify. We are three wins ahead of fourth place with five games left to play. We have to visit Olympiacos, which is third right now and will try to do its best to reach even higher. It will be a very interesting game, very tough to play. We will play back-to-back home games against Besiktas and Caja Laboral after that. Beating Olympiacos on the road would give us a lot of strength." "I think that both teams played really well tonight. 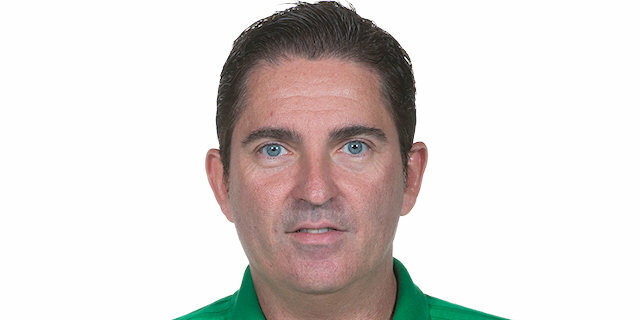 I would like to congratulate Barcelona and its coach. They were a little bit better than us tonight. I am happy with the way we fought, but everybody knows that Barcelona is really strong. Two of my players, Zoran Planinic and Matt Nielsen, had physical problems before the game. We needed to do a little bit better to win the game. We missed too many three-point shots and that killed us. I don't think we have options to be first in this group, but maybe we can be second or third. Our goal is to make it to the playoffs, this would be good. We got the tie-break advantage against Barcelona, but that's not important under the current situation. In the last two years, my team has showed a lot of character. We always fight until the end, no matter if we are up by 10 or down by 20. We fight all 40 minutes, as we did today. We try to do our job, but even though we did well on defense, we need a better three-point shooting percentage to get this win." 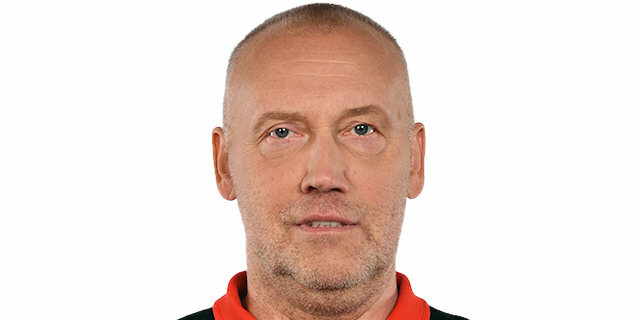 "They are a tough team; they beat us in Russia. It’s a good win for us. Our concentration wasn’t there in the fourth quarter. They had offensive rebounds and they killed us with that. They are a physical team. They have big guys who can play and can shoot the ball. " 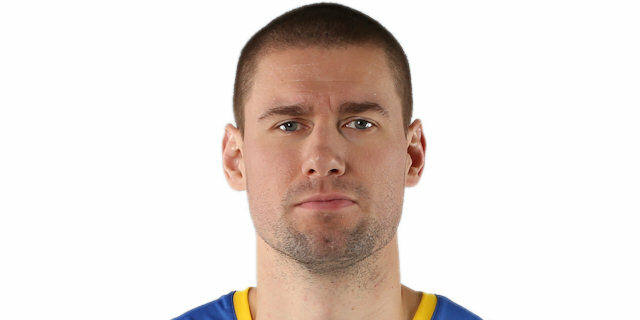 "We knew that Khimki is a team that always stays in the game. It is a tough team, very difficult to beat. We played very well in the opening three quarters, but allowed them to get many offensive rebounds in the fourth quarter and rushed a bit on offense. It was a very important win, as we are three wins ahead of fourth place. It gets as closer to our goal to be first or second in this group. Winning was the only thing that mattered and in general terms, we controlled the game pretty well. We have to carry on with this winning streak." "We picked up our aggresivity in the fourth quarter. We needed to play like that the whole game. They hit their shots; we missed our shots when it was winning time. We missed some shots and made a couple of turnovers. In a 2-point game, you can look at anything as the reason we lost. [Barcelona is] one of the best teams this year and probably one of the best teams in the history of Europe. We’re not happy with a 2-point loss; we felt that we could win. In a game like this, everybody has to play to their potential. If you don’t show up for a game like this, we’re going to lose. " "Barcelona played a really good game today. They dominated from the first minute until the last. Maybe the score was close, but they controlled the game the whole time. They came in focused and played good basketball. We still depend on ourselves [for the playoffs], but I think we missed an oppurtunity here; with this win we would have been in a better position, Right now we have to win all the home games and I think we’re going to be good. "